On May 11th, the American Simmental Association sent out the following information in an eNews message. Leachman Cattle of Colorado, LLC and Verified Beef, LLC filed suit against the ASA, On April 11, 2014, claiming that the ASA's Feeder Profit Calculator infringes a patent obtained by Leachman and licensed to Verified Beef for their Reputation Feeder Cattle® and Genetic Merit Scorecard® programs. The Genetic Merit Scorecard® program "takes EPDs of all the bulls used in [a] herd for the past 10 years, converts the data into simple-to-understand values, and shows [the] herd's rank (relative to the national average) for the traits that are most important to cattle feeders when predicting profit potential." The Genetic Merit Scorecard® provides star rankings for various traits as well as a relative dollar value ranking for a group of animals. In the lawsuit, Leachman and Verified beef allege that they, not the ASA, "pioneered the concept of determining the relative economic value of a group of existing commercial calves and reporting that value to the owners and potential buyers of that group." 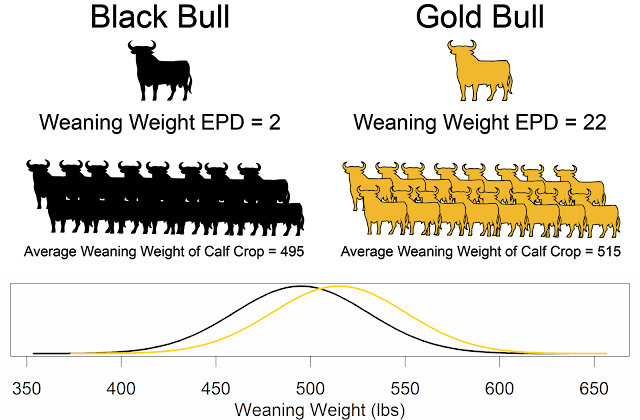 Leachman and Verified Beef assert that they are exclusively entitled to market "systems and methods of determining the relative market value of a sale group of livestock based on genetic merit estimates" and that the ASA's Feeder Profit Calculator, which determines the relative value of feeder calves, violates the Reputation Feeder Cattle® and Genetic Merit Scorecard® patent. Leachman and Verified Beef stress that they have "several [other] pending patent applications covering aspects of this technology." The ASA published the cattle industry's first sire summary in 1971, and developed the industry's first multi-breed genetic evaluation in 1997. In the early 2000's, the ASA teamed with USDA geneticist Mike MacNeil to develop dollar value indexes. Dollar value indexes blend EPDs and economics to estimate the overall impact on profitability of sires' progeny. Used extensively in the swine, poultry and dairy industry for many decades, dollar value indexes allow breeders and commercial cattle producers to make accurate decisions when determining the economic value of a group of livestock. Though Leachman and Verified Beef did not file their first patent application until April 13, 2013, they claim that prior to the ASA's meeting with them in early 2013, the ASA did not have a "product that determined the relative market value of a sale group of livestock." Leachman and Verified Beef also complain that because the ASA offers its Feeder Profit Calculator to beef producers at no cost, the ASA is "placing unfair economic pressure" on Leachman and Verified Beef which prevents them from "acquiring prospective customers." As a result, Leachman and Verified Beef request an unstated amount of punitive damages against the ASA and that the ASA "immediately cease offering [its] products . . . [to] the cattle industry." In response to the suit, ASA Executive Vice President Wade Shafer stated that Leachman and Verified Beef "seek a monopoly on genetic prediction through a questionable patent and we will not sit idly by and let them take control of something we and others in our industry have been doing for a long time. The ASA will not be deterred from protecting the rights of the beef industry and ASA members against monopolistic claims from Leachman, Verified Beef or others. We believe that the cattle industry has advanced through science to the benefit of everyone. We are committed to making sure that scientific advancement for the good of all, and not just for the profit of a few, remains our goal." There is significant prior art in relation to dollar value indexes, most published in scientific journals with one of the first papers published in 1943. I'm surprised Leachman received this patent and I will be watching to see what the courts decide. 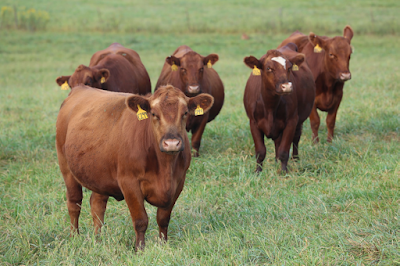 For more information about Reputation Feeder Cattle® and Genetic Merit Scorecard®, see here and here. For more information about Feeder Profit Calculator see here. I received an email from Lee Leachman containing their statement about the suit, click here to see Leachman and Verified Beef Statments.